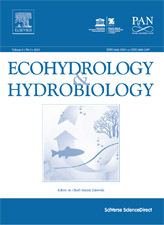 In 2001 Polish Academy of Sciences launched the international journal of ECOHYDROLOGY & HYDROBIOLOGY. Currently the journal is published jointly by European Regional Centre for Ecohydrology of Polish Academy of Sciences and Elsevier. 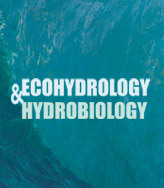 An essential component of ecohydrology is a rigorous understanding of hydrobiology, from ecosystem properties, dynamics and functions to modelling of abiotic and biotic interactions in relation to their hydrological determinants at the basin scale. Is policy-oriented and, within the scope of the journal, addresses the priorities and objectives of international initiatives such as the Millennium Development Goals, UNESCO's International Hydrological Programme, Water Framework Directive, etc.